Brian Lemke had to do it the hard way but in the end all that matters is that Lemke is the champion of Event 15 of the 2009 World Series of Pokert. He had some good fortune at various times during this final table, but you need a little luck to win tournaments, especially one with a field of this calibre. Lemke fought back valiantly against Fabian Quost, overcoming a near 4:1 chip deficit in an epic three hour heads-up battle. Lemke’s victory was a popular one, with thoughts of Lemke’s late cousin and popular poker personality, Justin Shronk, filling media row. We’re sure that Shronk would’ve enjoyed this one. 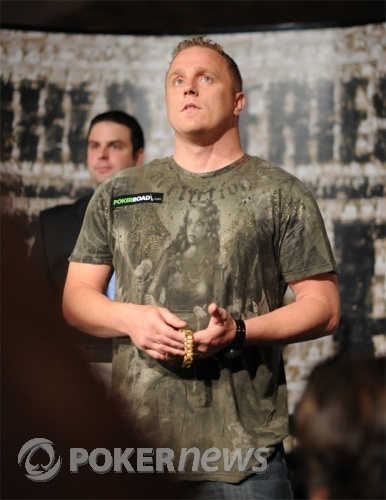 Lemke collects a massive $ 692,658 for his victory and the coveted gold bracelet! Thanks for following our coverage this evening and hopefully our Internet gremlins will be resolved overnight and we can enjoy interruption-free coverage tomorrow. Get some sleep kids, we’ll do it all again tomorrow! Good night from the Rio! After Brian Lemke limped from the button, Fabian Quoss raised to 360,000. Lemke then re-raised all in and Quoss made the call. When the flop came both players caught an open-ended straight draw which Lemke completed with the on the turn. 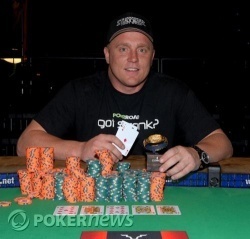 The on the river was a mere formality as Lemke claimed the title, champion's bracelet, and a first-place prize worth $692,658. Congratulations to Fabian Quoss who was prominent throughout the entire final table to ultimately finish in 2nd place for a collect of $427,912. After Lemke called Quoss' preflop raise of 280,000, we saw a flop of . Lemke checked, Quoss bet 350,000 and Lemke re-raised all in, forcing a fold. After Lemke called Quoss' preflop raise of 280,000, we saw a flop of . Lemke checked and then folded to Quoss' 350,000 bet. In a limped pot, we saw a flop of . When both players checked, we saw the on the turn and Quoss led out for 150,000, which was enough to take the pot. Fabian Quoss raised to 280,000 and Brian Lemke re-raised all in. When Quoss called, the hands were shown. When the flop came , Lemke picked up a club draw which hit on the turn and the river with the and . 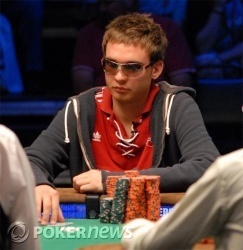 Lemke doubled up to more than 4 million, drawing him almost even with Quoss.